Staying healthy means regular checkups with your doctor to catch and treat diseases, such as high blood pressure and asthma, before they become life-threatening. 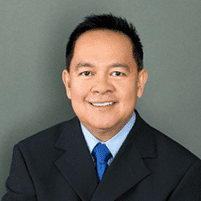 With extensive training in internal medicine, board-certified physician Dr. Gilbert Sunio with Sunmed Health and Weight Management in Visalia, California helps prevent and manage chronic diseases that can be dangerous when not treated properly. Call his office today to learn more or schedule an appointment online. Internal medicine is a branch of medicine that covers the prevention, diagnosis, and treatment of adult diseases, including conditions like asthma, hypertension, and COPD. Dr. Sunio encourages his patients to get regular preventive physical exams to catch chronic disease risk factors before they become serious. How frequently you should schedule a physical exam depends on your age and overall health. Younger adults in good health may need a physical every few years, while older adults with health conditions may need a physical exam once a year, or more often in some cases. Talk with Dr. Sunio about what’s appropriate for you. Hypertension is another term for high blood pressure, and it can put you at risk for developing heart disease. Dr. Sunio will work with you to manage high blood pressure by making lifestyle recommendations and prescribing medication if necessary. Dr. Sunio can work with you to manage the symptoms of COPD, as there is no cure. Regular checkups with Dr. Sunio, especially if you have hypertension, COPD, or asthma, can drastically improve your quality of life. Call Sunmed Health and Weight Management today, or book an appointment online.